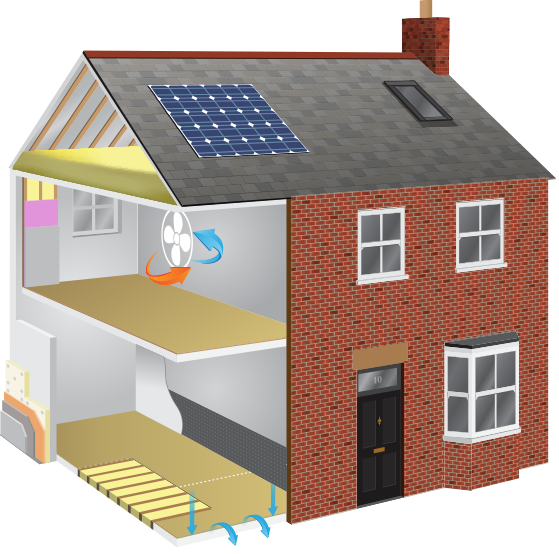 Retrofit projects is an eco-renovation and building fabric insulation service. We’ve dedicated our business to providing high quality energy saving products that effectively insulate traditional properties and older homes, and at the same time are sympathetic towards traditional features. If you are planning a project or intend to carry out any significant renovation or extension to your home, this will provide you with an ideal opportunity to address any chronic issues common to older homes, leading to higher energy bills, such as heat loss in colder months and over-heating in summer, from draughts, condensation and mould, to health problems related to poor indoor air quality. We take a whole house approach to eco- renovations and retrofit projects, many older homes have some potential for improvements, and to maximize this potential we provide a bespoke survey including thermal imaging, and a detailed assessment to determine how each property can be improved in a cost effective way.